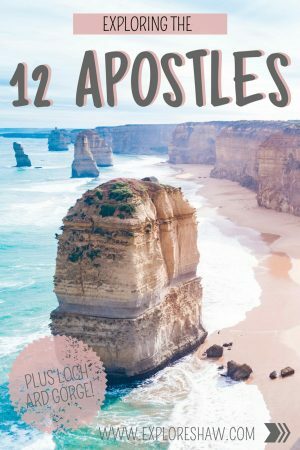 Pick up any guide book, blog post or travel article about the best places to visit in Australia, and without a doubt the 12 Apostles will be pretty high up on the list. 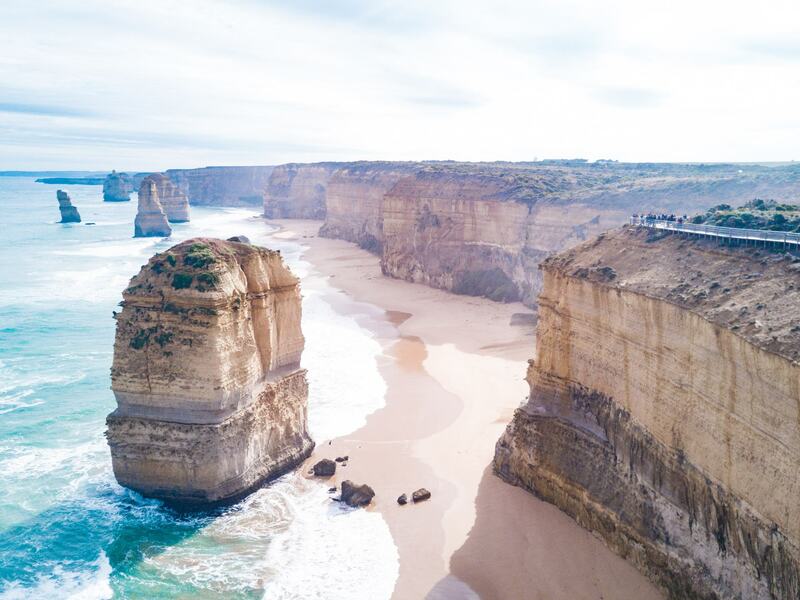 Located about a four hour drive from Melbourne, and just outside the small coastal town of Port Campbell towards the end of the Great Ocean Road is where you will find the 12 Apostles. A collection of magnificent limestone rock stacks, that stand tall in the Southern Ocean. There are countless beautiful places to visit along the Great Ocean Road, but the 12 Apostles really is the best of the best. Here’s everything you need to know about visiting the 12 Apostles. The 12 Apostles were created due to constant erosion of the limestone cliffs on the mainland, beginning around 10 to 20 million years ago. The waves of the Southern Ocean and strong winds have gradually eroded the softer limestone, forming caves in the cliffs. The caves eventually became arches and when they began to collapse they left these rock stacks, up to 45 meters high, standing in the ocean and creating some of Victoria’s most dramatic coastline. 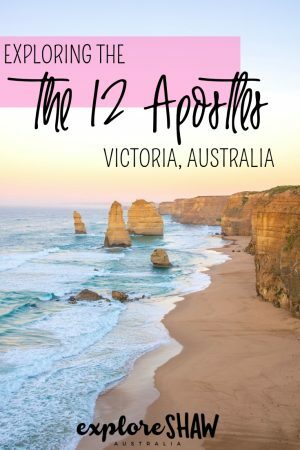 How many of the 12 Apostles are left? Over the years of continuing erosion, several of the 12 Apostles have collapsed and fallen into the ocean. These days, it’s reported that 8 of the 12 Apostles are still standing, although some are quite small these days. Nevertheless, they are still incredible to visit, especially for the first time. 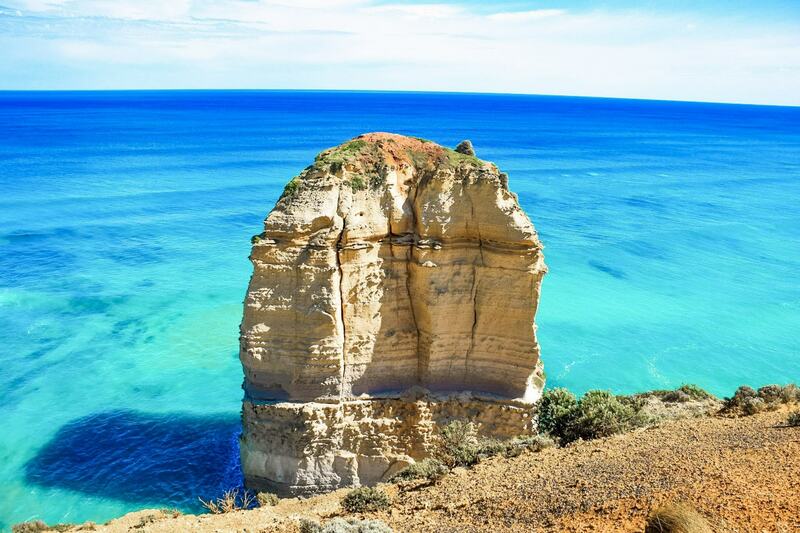 For overnight stays, the best place to stay near the 12 Apostles is in the cute coastal town of Port Campbell. Port Campbell accommodation varies from budget backpackers hostels and caravan parks, to luxury apartments to rent and there are even rooms to stay at the local pub! The drive from Port Campbell to the 12 Apostles only takes around 10 minutes, so it’s the perfect place to base yourself if you’re visiting the area. 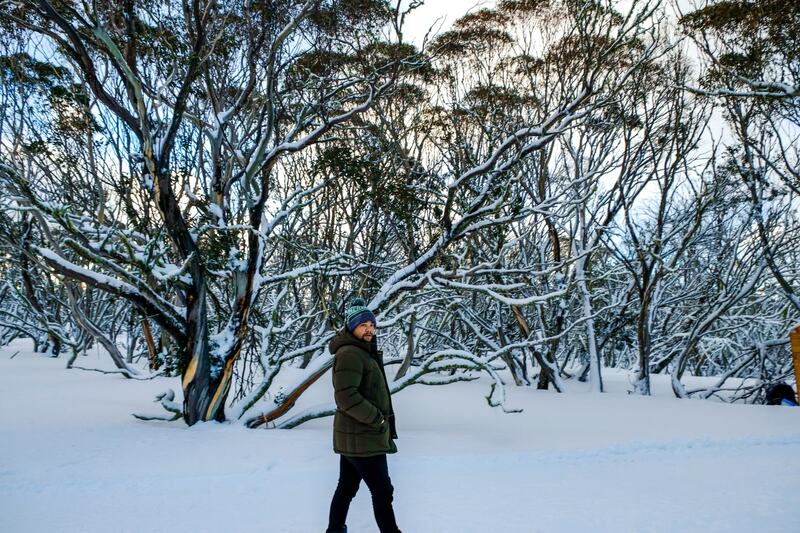 The 12 Apostles might be the most famous attraction in Port Campbell National Park, but there are lots of other sites and landmarks to visit in the area as well. To get more of an up close view of some of the 12 Apostles, head down the Gibson Steps, where you can walk along the beach and really gain an understanding of how massive these rocks are. Take the 86 steps down to the beach and be dwarfed by the 70 meter limestone rocks that rise up from the water in front of you. From the 12 Apostles Visitors Centre you can find the walking path that leads you down to the Gibson Steps. The walk is about 1.2km from the Visitors Centre, winding through beautiful local farmland before crossing the Great Ocean Road to the beach. If you’re feeling lazy, you can also drive around to the Gibson Steps car park and make the much shorter walk down to the beach. 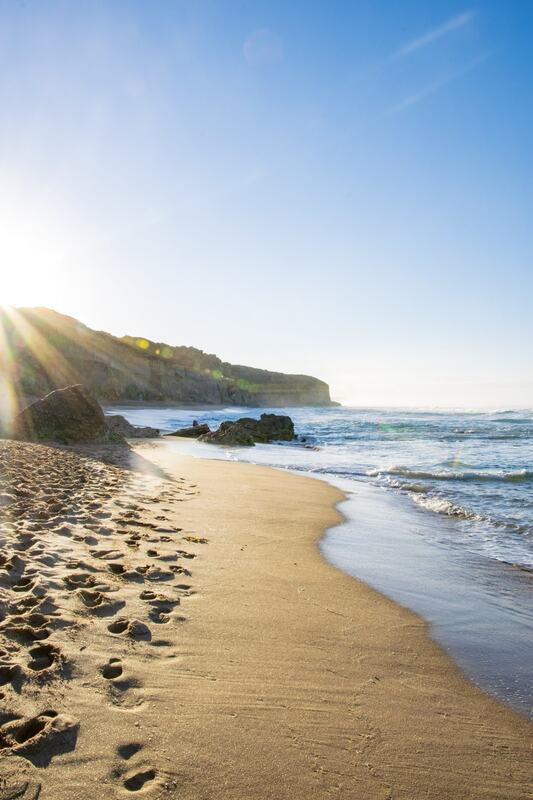 Unfortunately, access to the beach is dependent on the weather, as high winds and rainy weather can make the steps down to the beach very dangerous. To avoid disappointment it’s a good idea to check with the Visitors Centre to make sure the beach is open before walking down. 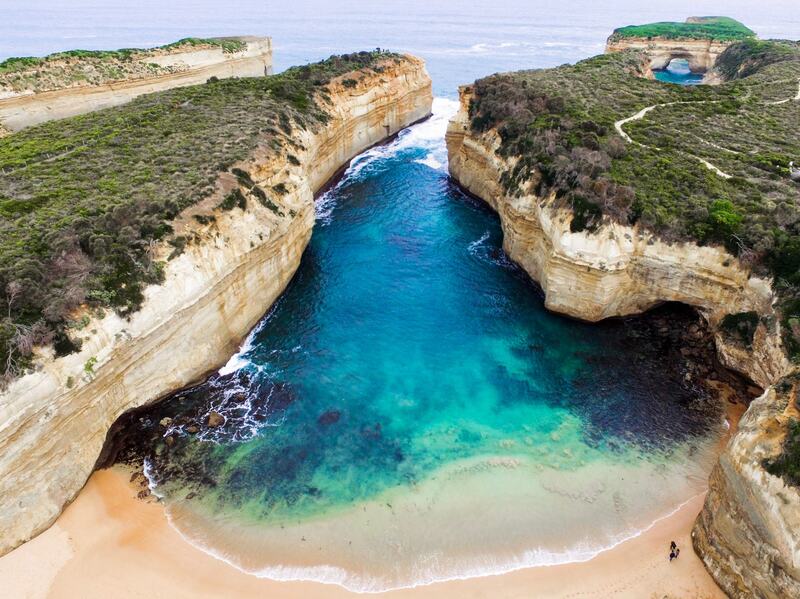 Along this part of the Great Ocean Road you will also find Loch Ard Gorge, The Arch, London Bridge, The Grotto and the Bay of Islands. The 12 Apostles are located 275 kilometers west of Melbourne, approximately a four hour drive along the Great Ocean Road. 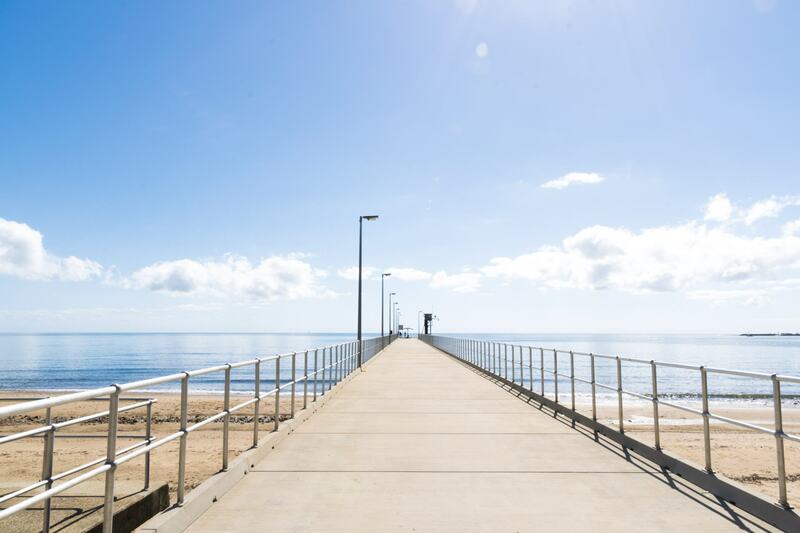 Self driving is definitely the best way to experience the Great Ocean Road, so you can go at your own pace, stop wherever you want to and don’t miss out on any of the beautiful natural attractions along this iconic road. 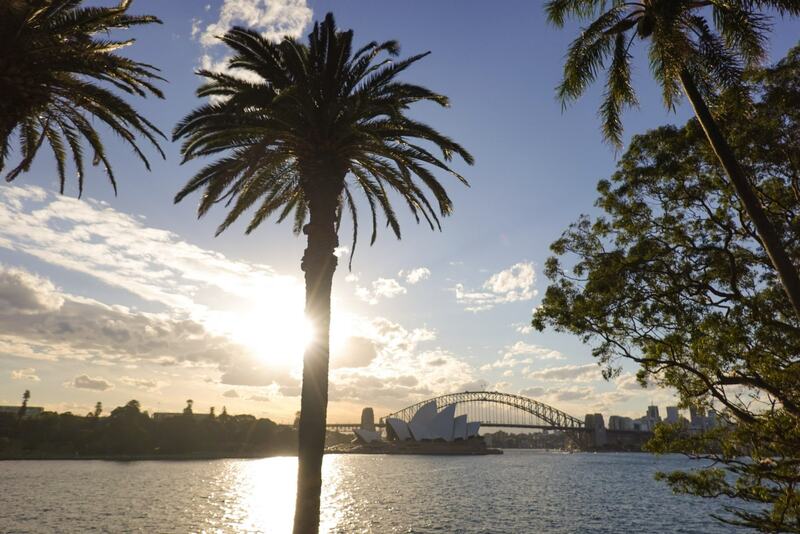 However, if driving is a bit too difficult, you can jump on a day tour from Melbourne that can take you to all the highlights of the Great Ocean Road. Due to the remote location of the 12 Apostles, it’s pretty difficult, time consuming and annoying to visit Port Campbell by public transport unless you’re going to stay for a few nights. 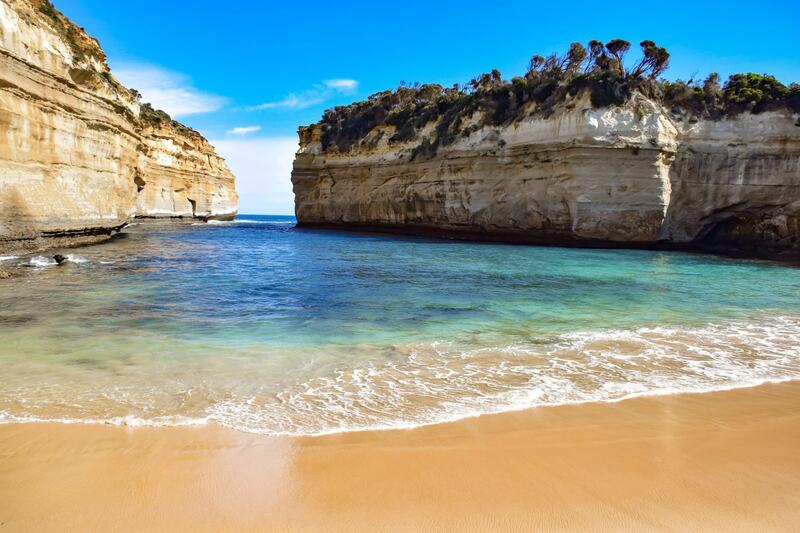 Just a few minutes down the road from the 12 Apostles you can find Loch Ard Gorge, a secluded beach surrounded by tall limestone cliffs with a history of heart wrenching shipwreck stories. 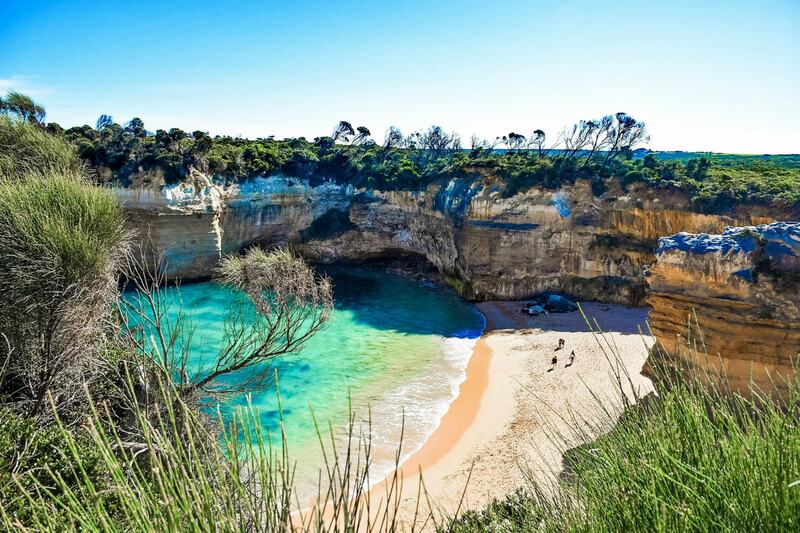 The beach at Loch Ard Gorge is just beautiful, quiet and secluded, and generally pretty quiet and peaceful. The water is calm and clear within the little cove of the gorge, and the surrounding cliffs are home to walking trails, ocean lookouts, blowholes and beautiful rock formations everywhere you turn. You can actually find the best views of Loch Ard Gorge from the main car park, so you don’t even have to venture down the steep stairs to the beach if you’re still tired from the Gibson Steps! From September to May each year, a colony of short tailed shearwaters (mutton birds) live on the offshore stack that is known as Muttonbird Island. They return each night, so if you’ve got some extra time make sure you visit the gorge or stay until dusk to see the area come to life! The 12 Apostles and the whole area of coastline surrounding Port Campbell is truly some of the most beautiful and dramatic coastline in Victoria. It’s the ultimate stop on the Great Ocean Road and a can’t miss spot to stop if you’re visiting the area. 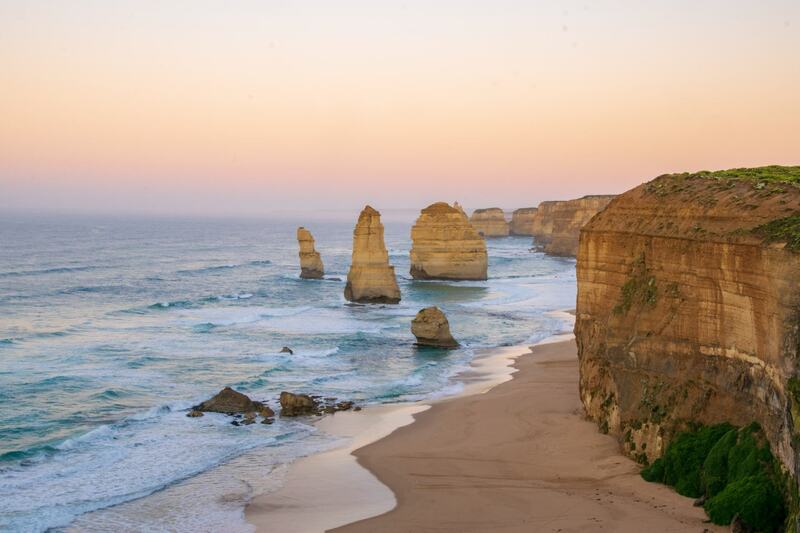 Have you visited the 12 Apostles yet? What was your favourite view?